D-Path » Barry J. White, M.D. Dr. White received his medical education at the Medical College of Georgia in Augusta, Georgia. He then continued his training at the Medical College of Georgia, completing his residency in anatomic and clinical pathology there as well. 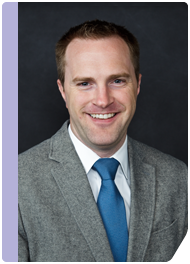 Dr. White completed his fellowship in dermatopathology under the direction of Dr. Clay Cockerell at the University of Texas Southwestern in Dallas, Texas. Dr. White has published in numerous journals including the Archives of Dermatology and Archives of Pathology and Laboratory Medicine. Dr. White is a member of the College of American Pathologists and member of the American Society of Dermatopathology.